A follow-up on yesterday’s mixed berry sorbet recipe. If you’ve any sorbet leftovers here’s a way of using it up! 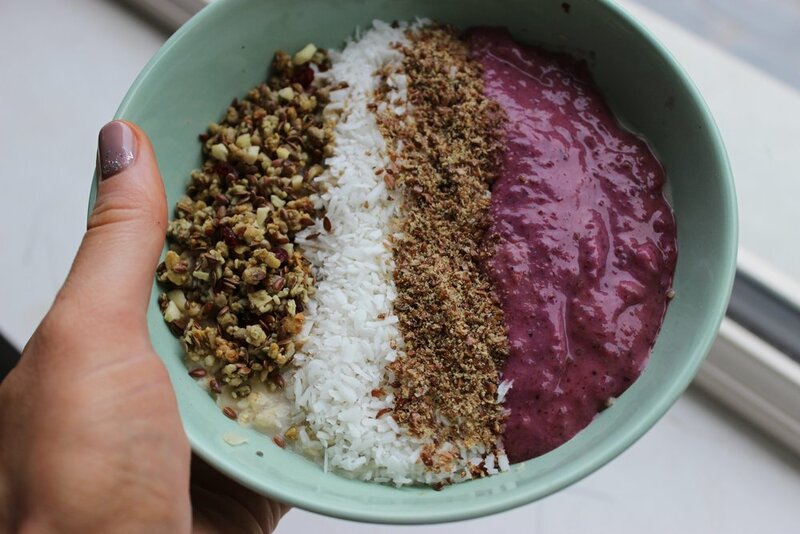 You’re also guaranteed your daily dose of fiber, fruit & vitamin intake with this delicious bowl of goodness. We simply heated a bowl of porridge and added crunchy linseed, walnuts, dried cranberries, coconut, our remaining sorbet mix & a drizzle of honey to top it off! We’ll we were hoping for a sunny day to post this recipe but sure look that’s Irish weather for ya! Sorbet is traditionally a frozen high sugar dessert made from sweetened water and flavourings. We’ve put a healthy twist on it. - Your getting more than 4 of your 5 daily portions of fruit.